My name is Jolie! I am the co-founder of this awesome rescue and the Treasurer/Medical Coordinator. My love for animals goes back for as long as I can remember. When I was 5 years old I rescued my first cat, Muffin. When I was 7 years old I had rescued/caught so many species of animals, bugs, reptiles, birds etc. that I opened my own “zoo”. I charged $1.50 admission to enter my room and observe all my creatures. (My parents were exempt from the admission fee.) Once the snake got out of its cage, never to be found, the zoo was shut down. That’s where it all started for me! Still to this day I cannot see an animal in need and walk away. Pit Bulls are so misunderstood and it breaks my heart to see the ever growing numbers that are put down each year. It is a duty of mine to help people understand the amazing characteristics of the Pitbull and break the negative stigma that surrounds them. The Pit Bull breed is not a mean animal unless humans (the meanest animal there is) turns them into such a thing against their will. Personally I have 4 rescued dogs and usually 1-3 fosters hanging out at my home. I also have 2 daughters and an amazing husband – who doesn’t always like the idea of having up to 7 dogs but stands behind the cause 100%. I enjoy traveling, arts & crafts, gardening and cheering my daughters on at their sporting events. I am a semester away from completing my Masters Degree which I’m sure will bring many exciting new adventures! I am extremely blessed to work with ACPBRR’s finest and not only consider them co-workers but also friends! For book keeping/accounting questions, please email Jolie at: jolie.alamocitypitbull@gmail.com. Hi, my name is Isliana but friends and family call me Izzy! I’m a Mortgage Advisor by day and pride myself on my organizational skills. I have always been an avid animal lover and was fortunate enough to grow up on a ranch. I was the only three year old in my pre-K class that actually got a pony for their birthday! I have four fur babies of my own: Mace a grumpy chihuahua, Leia a “San Antonio Special,” Ahsoka a pit/lab mix, and Cade a pit bull (yes, they all have Star Wars names). I became a member of ACPBRR unexpectedly when I found two emaciated pit bulls abandoned on the outskirts of the city. I took them in, got them spayed/neutered, and began caring for them as my own whilst unsuccessfully attempting to find suitable forever families. By chance I happened across this amazing rescue and have been fostering ever since. Eventually, as I became more active in the organization, the need for a consistent marketing rep presented itself and the rest is history! For marketing questions, events or other information, please email Izzy at: izzy.alamocitypitbull@gmail.com. 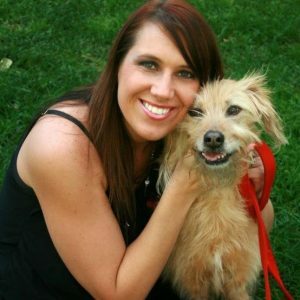 Hi, I’m Sarah, the foster coordinator for ACPBRR! I am originally from Houston, but I’ve lived in San Antonio for 11 years. I am a UTSA grad working for a marketing firm downtown San Antonio. My house is home to two humans and a Japanese Akita, a pit bull pulled off the streets, and a Jack Russell/Beagle mix. 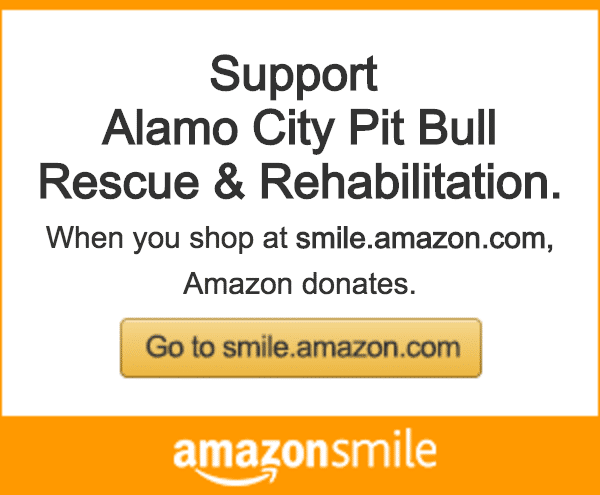 I have fostered, transported, and volunteered for Alamo City Pit Bull since seeing a plea in May 2015. I love seeing how these sweet pits change, grow, and experience love after being placed in loving foster homes. I am now director of the foster deparment! For fostering information, please email Sarah at: sarah.alamocitypitbull@gmail.com. 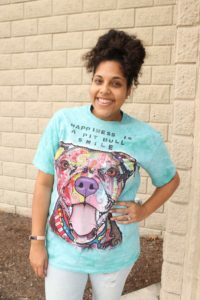 Hi, I’m Annelle, the ACPBRR Adoption Coordinator. I have always LOVED animals, especially dogs. I got my start in rescue after Hurricane Katrina hit New Orleans, LA. The disaster really opened my eyes so I began volunteering with LAPS (Laredo Animal Protective Society). I always wanted to go to school to become a veterinarian but decided rescuing is the next best thing! All my dogs are rescues which came from the shelter, the streets, or other people who neglected them (like my lone cat). Rescued is my favorite breed so I came on board with Alamo City! For adoption inquiries, please email Annelle at: annelle.alamocitypitbull@gmail.com. Greetings and salutations, my name is Anna. I am the Volunteer Coordinator for ACPBR. I’m originally from Eastern Europe but have lived in San Antonio for the past five years. Being freshly married and new to the city, my husband and I decided it was time for a puppy. That puppy turned out to be a pigbull (I mean pit bull). I never knew how discriminated against and misunderstood this breed was until we started looking for housing and got turned down from almost every apartment complex. Luckily, we found one that allowed pit bulls and from then on I decided I would be their voice and show everyone that pit bulls are nothing but goofy, loyal and loving dogs. My house is ruled by royalty: a queen baby known as Luna and one prince: Chief. My story with ACPBR started on Valentine’s Day 2014. My husband and I wanted to celebrate like the lavish spenders we were on a fancy date but then decided this Valentine’s Day should be different, instead of spending money I wanted to save a life. I began looking on social media for rescues and animal care services; that is when I saw Teddy, a beautiful gentle giant on death row without any interest. We got in the car and went to pick him up from ACS not having any experience of knowledge about how things work in the rescue world. 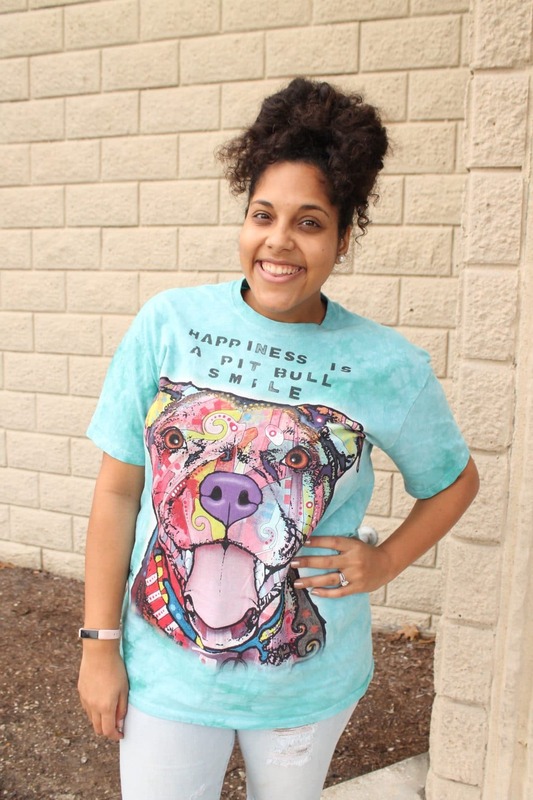 Luckily, we met two ladies who introduced us to Alamo City Pit Bull Rescue. I fostered Teddy for about eight months and fell in love with him. That started my journey as a foster mom and volunteer for the rescue. To date I have personally fostered 13 dogs and counting! For volunteer inquiries, please email Anna at: anna.alamocitypitbull@gmail.com.